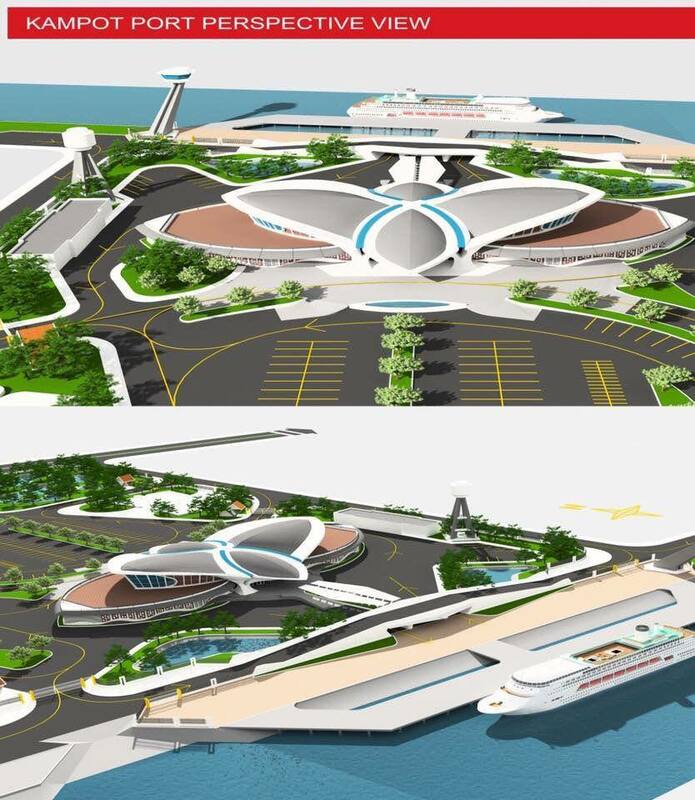 (Kampot): Due to years to years international tourist growth and transportation activity is busier, the royal government of Cambodia decided to construct one another international tourism port at Kampot province in order to facilitate waterway transportation and contribute to enhance further international tourists growth in Cambodia. 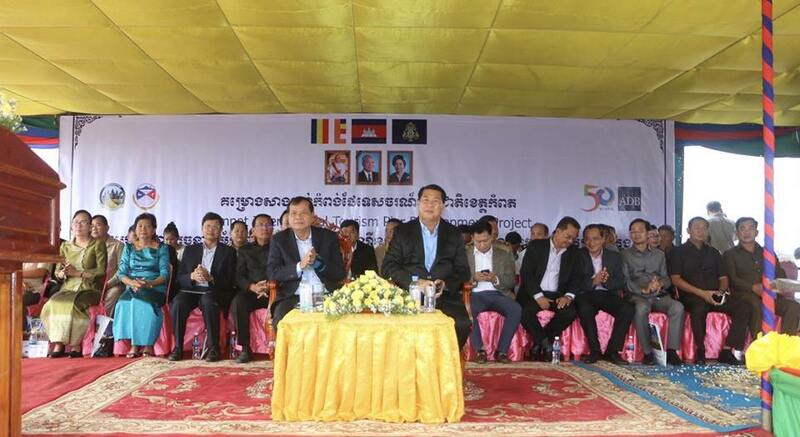 The Kampot provincial international tourism port had been opened construction at 08h: 8 minutes and 8 seconds in the morning of 08 August 2018, under presided over by H.E THONG Khon, Minister of Tourism with the participation from H.E Cheav Tay, Provincial Governor of Kampot, representative of Asia Development Bank to the Capital of Phnom Penh and 800 totally civil servants. H.E Thong Khon addressed that the royal government of Cambodia received concession funds from Asia Development Bank in order to invest on related tourism infrastructure in 3 coastal zones: Kep, Kampot and Koh Kong province in the aims at making better travel linking and tourism throughout tourism corridor at the South of Thailand – Cambodia – Vietnam, creating new tourism products, creating and improving tourism infrastructure, tourism communities, human resource development on tourism; in particular, enhancing tourism professional skill and improving tourism service qualification, promoting living standard of the people, advancing socio – economic development in coastal areas and Cambodia’s opening sea gates to the region and the world. 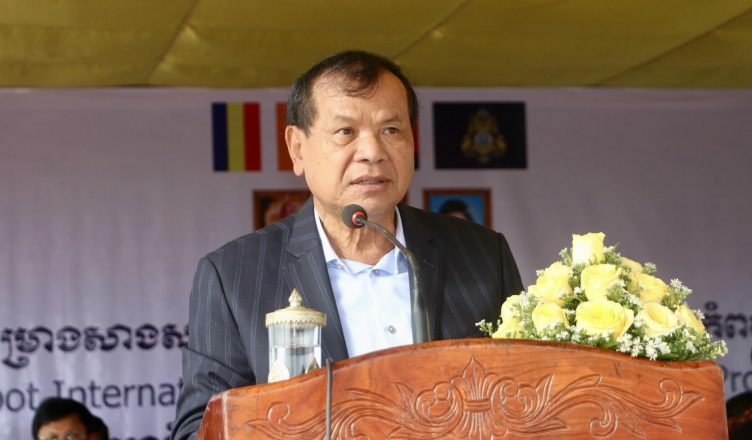 H.E said that the waterway is also transportation and tourist attractive means which the Royal Government of Cambodia has been paying attention on promoting development on this waterway tourism fitness, especially the ports at Preah Sihanouk and Kampot provinces as well as other coastal provinces, in order to promote movement and tourist flow in coastal areas and tourism corridor at the South. H.E Tith Chantha, Secretary of State of the Ministry of Tourism and as Head of Kampot Provincial International Tourism Port Project, confirmed that the Kampot International Tourism Port Construction Project will be spent over 8 million us dollars, as concession loan from Asia Development Bank. H.E Minister recommended to all related parties to have to join together in enhancing coastal tourism development, especially Kampot province to be sustainability and high responsibility in consistent with 3 main concepts: “Green, Clean and Smart” by focusing on the implementation of strategic plan, development plan, master plan and further good development plan perspectives, in which 2016 – 2020 new Kampot tourism development plan implementation need to be high effective paid in order to contribute to socio – economic development, Cambodian mother land protection and make Cambodia territory become the best place for living of the people and visiting of tourists. 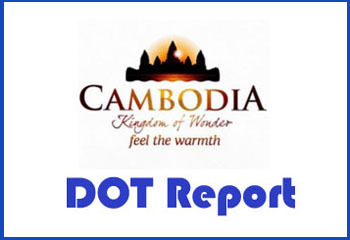 Beside of waterway infrastructure system development, the royal government of Cambodia tried to improve infrastructure in land and air too, which led to many national and international tourist growth, Obviously in 2017, Cambodia received over 5.6 million international tourists, increased by 11. 8%, and will bring about 3, 600 million us dollars in revenue, contributed 12% of gross domestic product and provided about 650, 000 direct job opportunities and thousands of indirect jobs. During 6 months early of 2018, Cambodia received about 3 million international tourists, increased by 13%, and as entire of 2018, Cambodia will gain 6, 2 million tourists. Particularly, at coastal zones in 2017 received about 3.2 million tourists, in whom international tourists were about 740, 000, increased by 20%. By prediction, in 2020, Cambodia will receive 7 million international tourists along with over 5 billion us dollar in revenue, and about 1 million direct jobs and Thousands of indirect jobs.